A novelty golf trophy that is ideal as a fun clubhouse award, these trophies are made in resin with a silver and bronze colour finish. They feature a figure of a male 'beast' golfer, barefoot and in tattered clothing, attempting to play a shot. 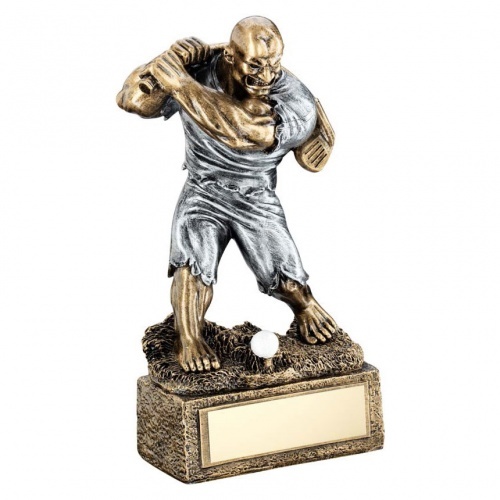 These comic golf trophies are set on a base with engraving plate and stand 6.75in (171mm) tall.